Increase the value of your home by letting our experts help you design a luxurious sunroom addition. 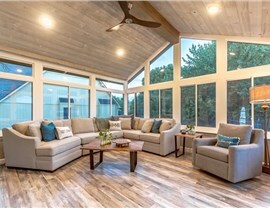 If you are searching for a unique way to add value and floor space to your home, consider one of the exclusive sun rooms from NJ Sunroom Additions! There’s nothing better than relaxing in a room flooded with natural light, and our New Jersey sunrooms will provide year-round enjoyment of the outdoors. 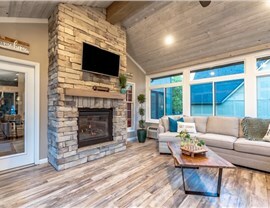 With award-winning service and an exceptional selection of sunroom additions, there’s never been a better time to take your home to the next level of luxury and style! 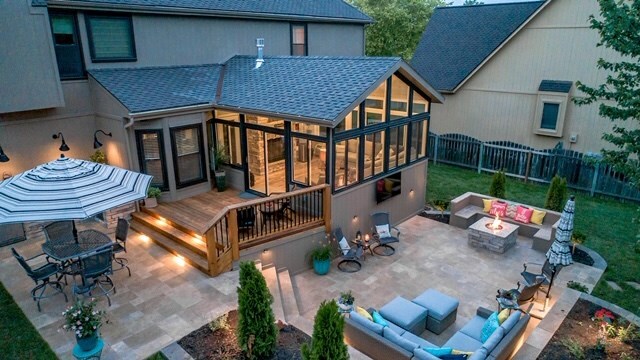 At NJ Sunroom Additions, we go above and beyond to ensure that your sunroom meets the exact needs of your home and family. 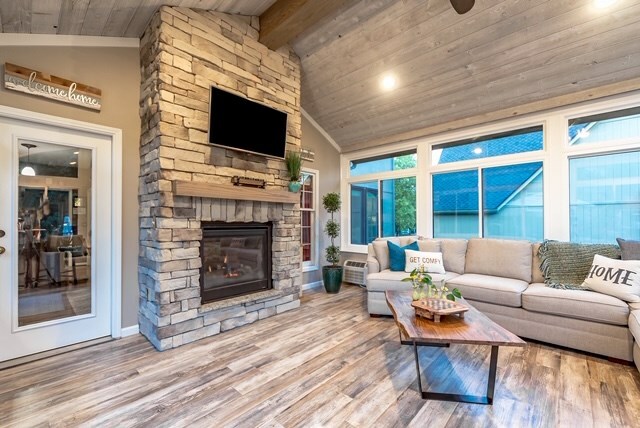 Unlike other sunroom companies that offer the cheapest additions possible, our Living Space-certified staff focuses on providing you the highest quality and value for your budget. 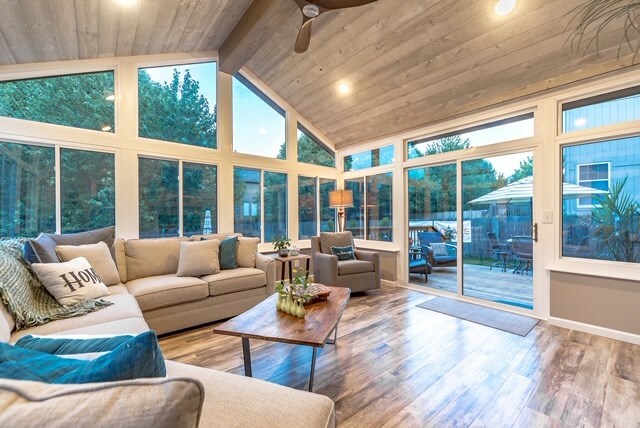 All of our sun rooms are highly energy-efficient, and constructed from a composite of PVC material to provide maximum insulation –saving you money on long-term energy costs! All Season Rooms – From summer days to winter snows, our all season rooms are the ideal choice for experiencing outdoor living any time of year! 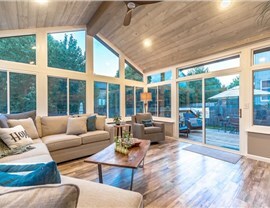 Cathedral Sunrooms – With a dramatic impact and increased floor space, a cathedral sunroom can take your home to the next level of luxurious living. Gabled Sunrooms – Our gabled New Jersey sunrooms will maximize the light and living space of your family’s home. Integrated Sunrooms – The integrated sun rooms by NJ Sunroom Additions are designed to seamlessly blend into the unique architecture of your home. Patio Enclosures – Turn your patio into a more livable space with an innovative patio enclosure from our experienced sunroom company! Three Season Rooms – Our three season sun rooms are custom-engineered to withstand the elements for years of enjoyment. Solariums – For a modern look, there is no better choice than the stunning, full-glass construction of an energy-efficient solarium. 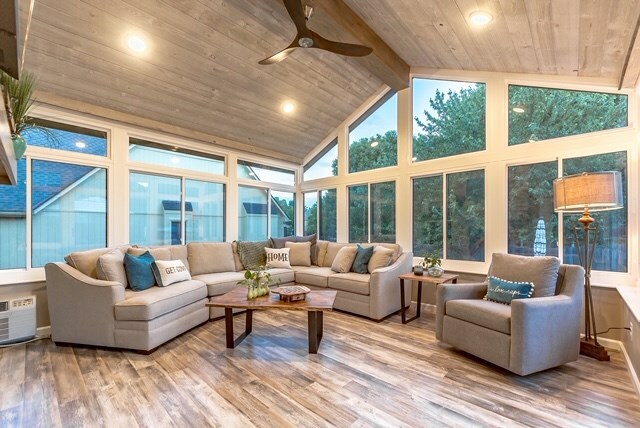 With customer-focused service and the highest quality sunroom additions in the industry, you can’t go wrong with the expert team at NJ Sunroom Additions! To find out more about the premier products and services we offer, just give us a call today. You can also fill out our online form to get in touch with one of our friendly representatives and schedule an appointment for your free, no-obligation estimate!